Lots of people might have become health conscious these days, but still, they prefer eating fresh fruits and vegetables instead of dried food. Can you tell why does this happen? 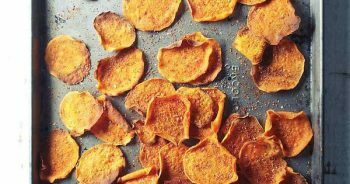 Do dehydrated foods lose their nutritional value? Yes, you are thinking right. The fresh foods have more nutritional value than the dried food, and it is correct to some extent also. When you dehydrate food in the food dryer or through some conventional way, some of the valuable nutrients and minerals of the food gets vanished or reduced. The dehydrated foods and fresh foods comprise of several similar health benefits, but both of them differ marginally in the mineral and vitamin content. Both fresh and dried vegetables and fruits offer you lots of fiber and antioxidants which are useful for your health. On the other hand, in the dehydrated fruit, a small proportion of vitamins get lost during the drying process. At the time of comparing the nutritional content of dehydrated as well as fresh foods, you should use the standard size for measuring i.e. 1 cup of fresh fruit and 1/4 cup of dried fruit. 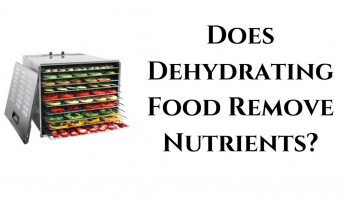 Do Dehydrated Foods Possess Same Nutritional Benefits Which They Have in Raw Form? How Is Nutritional Value Lost in the Dehydrated Food? What Types of Nutrient Gets Lost During the Drying Process from the Food? Is There Any Way Which Prevents the Nutrients Loss at the Time of Dehydration Process? Is There Any Way to Supplement Any Vitamin Which Gets Lost in Drying Process? Does the Dehydrated Food Lose the Fiber Content after Drying Process? The answer to the above question depends upon the types of spices and herbs which you are taking. For example, Cinnamon is used in lots of dishes for adding flavor but in dried and powdered form. Similarly, the ginger and garlic can be utilized either in dried or in fresh form whatever suits you. In both manners, this food gives you the inflammatory benefits. Thus, we can say that in the case of such above herbs and species the nutritional value of the food does not get vanished. In fact, they offer you lots of health benefits along with the delicious flavor. The nutritional value of the food does get reduced after the drying process. We will make you more clearly at this point with the help of an example; let's take basil in the fresh and dried form both. 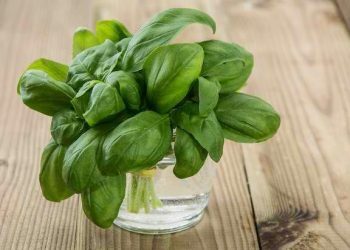 If you take 1 ounce of fresh basil, you get 30% of the vitamin A, 145% of vitamin K and 8% of vitamin C. This herb also comprises of omega-3 fatty acids in the quantity of 88 mg along with the ORAC (Oxygen Radical Absorbance Capacity) value of 1200. Now take one tablespoon of dried basil (that is almost the same quantity of fresh basil). It will offer you only 4% of the vitamin A, 2% of vitamin C and only. 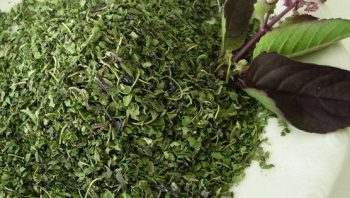 The dried basil will have around 33mg of omega-3 fatty acids. Now, from the above example, it is clear that lots of nutrients get lost drying the drying process, but the ORAC value of both the forms remain almost same. It also shows that both are a major source of antioxidants which is good for our health. As per the research, lots of minerals are found in higher quantities in the fresh foods as compared to the dried fruit. For example, in 1 cup of fresh apple, you will get 8 mg of calcium, 14 mg of phosphorus and 6 mg of magnesium whereas, in 1/4th cup of dried apple, you will fetch 3 mg of magnesium, 3 mg of calcium, as well as 8 mg of phosphorus. It shows that the fresh food has more content of minerals than the dried food. If you use the blanching method which mainly designed for retaining the original color of the fruit, you can save little minerals to some extent. The vitamins like vitamin B, vitamin C, thiamin, vitamin A, and Folate got decrease when you dehydrated the raw food. We will take one example here also. Let's take one fresh apple. In the natural form, it contains four micrograms of folate and 5.8 milligrams of vitamin C. In the 1/4th cup of dried apple, only .8 milligrams of vitamin C left without any folate. on some occasions, few people add sulfur in the dried fruits, so that it does not turn to brown color. But with this way, you can also maintain more content of the vitamin A and vitamin C., But you should remember that with the addition of sulfur the thiamine also gets destroyed in the food. Lots of Vitamins A and C gets reduced in the course of drying process as they destroyed by heat and air. For example, if you cut one piece of fresh fruit, it will start losing its beneficial nutrients as soon as the fruit comes in contact with the air, especially, the Vitamin C.
Every time you heat your food, lots of enzymes also get lost. But if you dry the food in lowest temperature, then it will reduce fewer enzymes as compared to the standard heating of the food. One of the easiest ways to preserve nutrients in the food is to dehydrate them at the correct temperature. 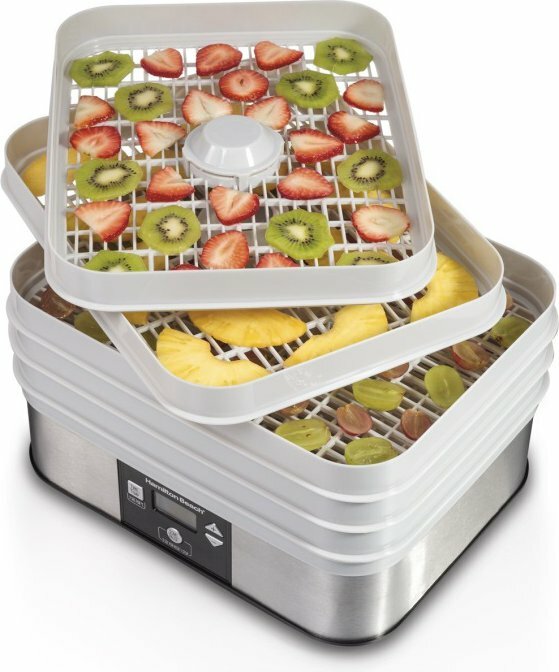 You can use the electric food dehydrator for this purpose instead of the conventional mode of drying. In the electric dryers, you have full control over the temperature which helps in reducing the loss of nutrients forms the food. You must not keep the dried food under the direct sunlight. They must store in a dark place, so that content of nutrients in the food does not get affected. The food should be sliced in equal sizes so that it does not over-heat or over-dry. The over drying can reduce lots of nutrients from the food. With the help of a good slicer, you can do the slicing uniformly without any issue. Yes, of course, you can increase the content of Vitamin C in the dried food through the powdered citric acid, like Emergen-C. You can also use the lemon, and any other citrus fruits, Chili peppers, parsley and red bell pepper which are the few highest food sources of vitamin C. The dried spices like peppers (chili powder, paprika, and cayenne) and garlic can also work as a supplement. Lots of people have a misconception in their mind that the dried vegetables and fruits do not have fiber which is false. 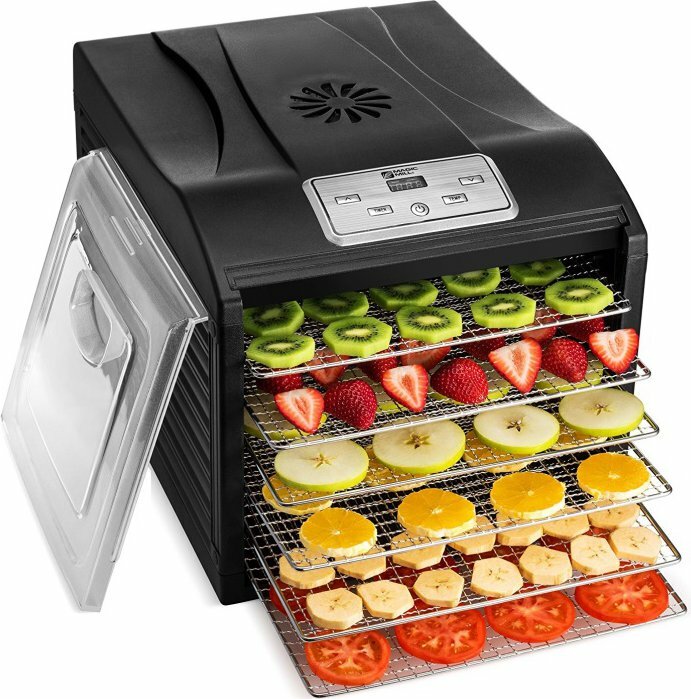 When you dehydrate any food, the water content of the food gets reduced and not the fiber. In fact, in comparison to the raw foo﻿﻿d, the dried food has more fiber. There are so many health professionals in the world who recommend their patients to consume dried food in case of constipation as such food has more fiber in it than the raw food. Thus, if you are concentrating on losing weight, then you can eat dried food without any stress of putting weight. In the end, we just want to say that the dried vegetables and fruits are a healthy substitute for the junk food. You can consume for a rapid and quick energy. It is not always easy to carry fresh food along with you that is why dried food is a preferable option while traveling or backpacking. We are not saying that you replace the dried food with the fresh food as the nutritional content of both types of foods differs. But still, the dried food has got some benefits and healthy nutrients which we cannot ignore. There are lots of recipes nowadays in which we need to use the dried food and not the raw food. So, when you do not have any option to use the raw of fresh food then, just simply use the dried food. We hope that now you have got an answer to your question i.e. "Do dehydrated foods lose their nutritional value"? If you still have any query in your mind then, just simply write to us. We will try to reply you as soon as possible. Besides this, if you have any good thoughts to share with us which can make our article more informative and useful, then also you are most welcome. We will be pleased to hear from our dear readers.